Well. It's official. We've moved to Spain. Six months in the making and all of our hoping, dreaming, and imagining has finally come to fruition. We haven't had much of a chance to sit around and look at each other and shake our heads and say, "Isn't it crazy?" because since we got off the plane in Madrid life has been CRAZY. I think we thought the days leading up to coming to Spain were crazy, and they kind of were, but not really, because at least we sort of knew what we were doing, and we were doing them in English. And now, yeah. Not so much. Right now, life is still really crazy. We're still technically homeless, although I'm not writing this from the streets. We're in a hostel tonight because we sort of got kicked out of our Airbnb this morning - I guess the host forgot he told us we could keep staying there until we found an apartment? I don't know. We're taking Teaching English as a Foreign Language classes everyday from 10am to 3:30pm, and we spend our mornings and evenings doing homework and searching for apartments. Our homework load has been much more than we anticipated, and the apartment search has turned out to be much more competitive and lengthy than expected as well. We've also gotten a chance to see a good bit of Madrid. We arrived on a Thursday, and classes began on Monday, so we took advantage of some of that time to see some of the city. Want to take a look at some of what we've seen, before we head back to what we should really be doing (you know, apartment hunting, class assignments, etc)? Plaza Mayor on our first day in Madrid - can you see that "we-haven't-slept-in-48-hours" look on faces? 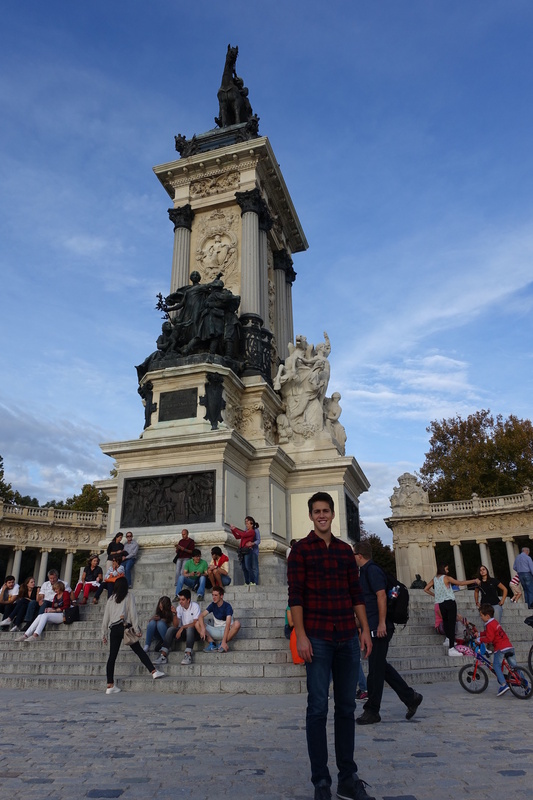 Our first trip to Retiro, Madrid's crown jewel (maybe I made that up, but I think it's true). 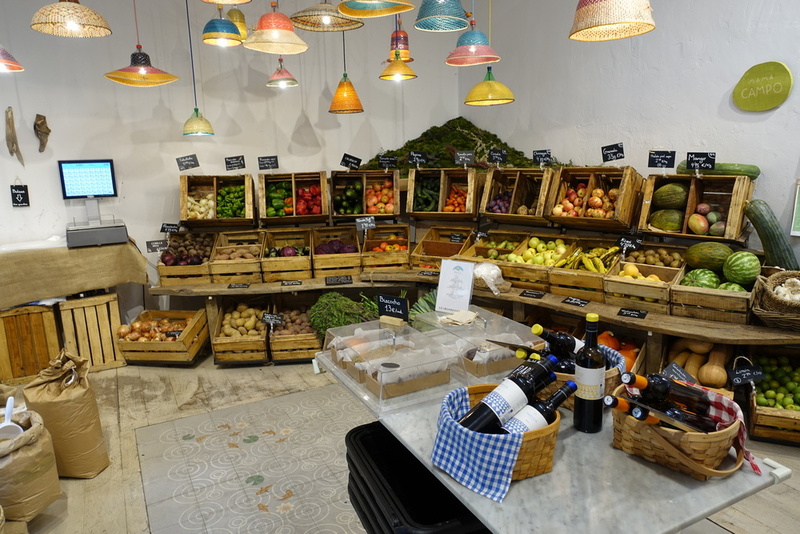 Mama Campo, our favorite (and cutest) neighborhood grocery store. 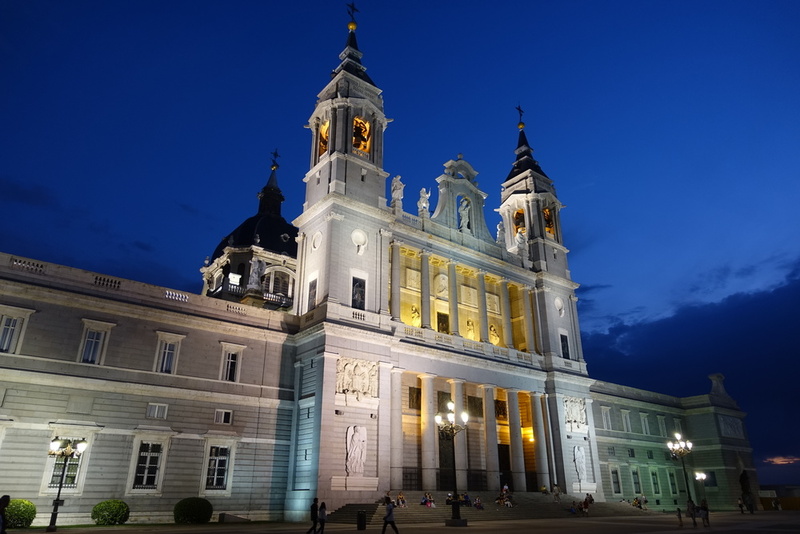 Catedral de la Almudena, next door to the Palacio Real (Royal Palace) at night - isn't it gorgeous? We went back to Retiro yesterday, and it's beginning to look - and feel - more like fall! The weather is indicating so, too! It seems the days of 80's are behind us, but don't worry, it's still beautiful (in the 70's) here. Just more sights of Retiro! And now, we're looking forward to our second week of class, to hopefully finding an apartment very soon, to exploring more of Madrid, and to learning more and more Spanish. Once we find an apartment, we'll have a whole new host of things to take care of, but for now, we're still on the hunt!